by Colonel (Retired) Stephen Gerras, Ph.D. Organizational Behaviorists cite several key attributes and competencies typically associated with effective leadership. High energy, conscientiousness, and cognitive ability make most lists. Unfortunately, these attributes are not very malleable, especially for adults. Fortunately, there are also several competencies—related to effective leadership but distinct from traits-- that can be developed through education, self-development, and most often, experience. Experts most often cite judgment as a key leadership competency. Leaders make dozens of judgments every day. From deciding who will get promoted to refining a strategy for entrance into a new market, leaders sink or swim depending on their ability to exercise sound judgment. How do you develop judgment? A succession of stretch assignments, for instance, will only develop judgment if leaders learn the right lessons. More importantly, if otherwise promising leaders fail to recognize "what's different?" in a new situation, they may apply the wrong lessons learned to a new situation. Enter critical thinking. Many political, business, and public sector leaders emphasize the need for Americans to become better critical thinkers. These leaders know that complexities of business in the Information Age demand better judgment—and that better judgment requires critical thinking. Although many leaders assert the need for more critical thinking, one of the main impediments to understanding and using critical thinking centers on a lack of a common definition. No one discipline owns the construct. Most of the material about critical thinking derives from philosophy, education, and psychology.1 Some leaders mistakenly refer to the critical in critical thinking as mere fault-finding. Fault-finding is not what critical thinking entails. The word critical refers to the purposeful, reflective, and careful evaluation of information as a way to improve one's judgment. As senior leaders, whether we are evaluating the information from a PowerPoint presentation at a business meeting, reading a newspaper article, or participating in a discussion with the head of our India office, we constantly face demands requiring critical thinking. Consequently, one of the most important things that a leader must learn is not simply how to think critically, but how to do it well. Critical thinking is purposeful, directed thought. It requires reflective skepticism mixed with an open mind—this is a difficult combination of tasks—almost requiring individuals to simultaneously use both their right and left sides of their brain to tackle an issue. Critical thinking development requires several things. First, because it is difficult, the individual has to recognize the need for critical thinking or he may not persevere in learning the skills. Second, the basic tenets, concepts, and relationships associated with critical thinking must be learned. Third, individuals must focus on self-awareness. 360 degree feedbacks are a great way to do this. Finally, and sometimes most importantly, individuals must work in an environment that values critical thinking—this is a climate and culture issue. Figure 3-1. A Critical Thinking Model. 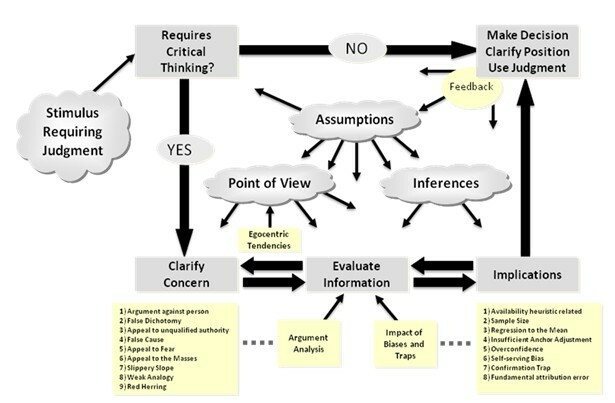 Figure 3-1 presents a critical thinking model that will be explained throughout the rest of this paper. Two issues need to be highlighted. First, most of the time (almost all the time) the leader needs to move across the top of the model and not do critical thinking. The great majority of the decisions and issues we face throughout the day do not require critical thinking. The route we drive to work, what clothes we wear to a party, and what book we read on Saturday are examples of decisions or concerns that do not normally require critical thinking and can be made in an "automatic" mode of cognitive thought. Exercising controlled thought involves the deliberate use of elements of critical thinking. Knowing when to reign back on automatic processing in order to conduct a conscious assessment of the parameters of the situation is more an art than a science. A good rule of thumb is if you are in doubt as to whether to use critical thinking about an issue, you probably ought to apply critical thinking. The main point is that most routine decisions made on a day-to-day basis do not involve critical thinking; however, once familiar with the concepts and terminology of critical thinking, you are in the position to ask yourself whether the issue being considered warrants the application of critical thinking methodology. Second, although the model appears to be generally linear, it is not. The clouds in the center of the model labeled point of view, assumptions, and inferences are meant to demonstrate that this is generally a nonlinear model. Assumptions, for instance, will affect whether you perceive an issue to be worthy of critical thinking, and your point of view will affect how you define the boundaries of the issues. Although there are arrows going from clarify concern to evaluation of information (implying linearity), there is also a reciprocal arrow going in the reverse direction to suggest that as you are evaluating information, you may end up redefining the concern. If, for example, you are seeking to clarify concern regarding some inappropriate behavior by your teenage son or daughter, the evaluation of information may indicate that the real issue has more to do with the nature of the relationship between you and your child than the actual behavior prompting the initial concern. The nonlinear nature of the model will be more evident as you next read about its main components: clarify concern, evaluate information, consider points of view, identify assumptions, make sound inferences, and consider implications. A critical element, and often the first step, in critical thinking methodology is to clarify concern. This is not as straightforward as it seems. When faced with a decision, leaders often spend the bulk of their time reviewing possible choices. They fail to do the up-front work of problem identification and construction. The concern or issue needs to be identified and clarified initially, yet consistently revisited as other elements of the model are considered. The term concern is preferred over the term problem because a critical thinker should be proactive as well as reactive. In many cases, the critical thinker will encounter information that causes him or her to identify related or subsequent issues that should be addressed. A critical thinker ensures that he or she has considered the complexities of the problem at hand and focused his or her mental energy appropriately. An assessment needs to determine whether the concern has unidentified root causes or unaddressed subcomponents. Another element of the critical thinking model is considering points of view. Within the context of this model, point of view is not your opinion. We all have points of view or frames of reference. The key is to be aware of them and recognize how they may bias our thinking. We want to develop a frame of reference that is evenhanded and open to other points of view. In fact, it may become absolutely essential that we examine a problem from a variety of points of view. Good critical thinkers, however, do their best to recognize their own point of view and to consider, understand, and even empathize with other views. As we attempt to empathize with the viewpoint of others, our own self-awareness becomes increasingly important. Leaders need to be self-aware of egocentric tendencies, which are probably the most significant barrier to effective critical thinking3. Because of their typical track record of success and achievement, corporate leaders have exceptional confidence in who they are and the validity, accuracy, and correctness of their views. Unfortunately, this constant positive reinforcement in the form of promotion and selection for key jobs sometimes encourages an absolutist frame of reference within a narrow point of view. Many college students, for example, think that they have figured out how the world works, and they are exceedingly confident that their view is correct. This type of egocentric leaning tends to also insulate leaders with regard to their actual thinking processes and often presents a significant obstacle to their empathizing with and considering the viewpoint of others. A third component of the critical thinking model is to identify assumptions. An assumption is something that is taken for granted. As critical thinkers, we need to be aware of the beliefs we hold to be true, which have been formed from what we have previously learned and no longer question. We typically process information based on assumptions about the way the world works and operate below the level of consciousness. These are sometimes referred to as mental models or schemas. The arrows in the critical thinking model show that various assumptions influence all aspects of the model. Indeed, our point of view, our inferences, and whether we decide a problem is worthy of critical thinking all affect how we pose questions, seek solutions, and select answers. Truly, the more in touch an individual is with his or her assumptions, the more effective a critical thinker he or she will be. Peter Senge wrote in The Fifth Discipline about the importance of dialogue, as opposed to discussion, in a learning organization. He posits, "In dialogue, a group explores complex difficult issues from many points of view. Individuals suspend their assumptions but they communicate their assumptions freely. "6 To suspend assumptions, leaders must first be aware of them. This reflective self-inquiry, in relation to a specific concern, is extremely important in the critical thinking process, as is the creation of a climate in which individuals feel free to communicate their assumptions and to question others. Another component of the critical thinking model that needs to be considered is to make sound inferences. Critical thinkers need to be skilled at making sound inferences and at identifying when they and others are making inferences. An inference is a step of the mind or an intellectual leap of faith by which one concludes that something is true because something else is true or seems to be true. Whereas an assumption is something we take for granted, an inference is an intellectual act in which we conclude something based on the facts and evidence of a situation. Critical thinkers strive to become adept at making sound inferences.8 Ask yourself, What are the key inferences made in this situation? Then ask yourself if the inferences are justified, logical, and follow from the evidence. Remembering the earlier components of the critical thinking model, obviously inferences are heavily influenced by the point of view and assumptions we bring to the issue. This explains why two leaders viewing the same PowerPoint slide may come to completely different conclusions in terms of what the data mean or represent. The most detailed part of the critical thinking model focuses on the evaluation of information and stems from the disciplines of behavioral economics, psychology, and philosophy. First, this paper will address some of the shortcuts humans habitually take that often lead to decision making biases. Finally, it will provide an overview of many of the logical fallacies that undermine information evaluation. Decisionmakers often rely on simplifying strategies or "general rules of thumb" called heuristics, which are a mechanism for coping with decision-making in volatile, uncertain, complex, and ambiguous (VUCA) environments. Critical thinkers need to appreciate not only the framework for assessing their own thinking, but also the heuristics that they and others rely upon when making decisions. The concept of heuristics relates strongly to the automatic mode of cognitive thought described earlier. Heuristics as an aid to decision-making are not bad; in fact, if we did not use heuristics, we would probably be paralyzed with inaction. As an example, you might have a heuristic for which coat to wear to work each day. Your heuristic might be, "If there's frost on the car, I wear the parka." Without this heuristic shortcut, you would have to check the thermometer and compare it to a chart that prescribed the correct coat to wear under certain temperature conditions. Heuristics help leaders to make good decisions rapidly a significant proportion of the time. Unfortunately, however, heuristics also can lead decisionmakers into making systematically biased mistakes. Cognitive bias occurs when an individual inappropriately applies a heuristic when making a decision.9 As critical thinkers, we need to be aware of cognitive biases to more effectively evaluate information. There are three general heuristics: (1) the availability heuristic, (2) the representativeness heuristic, and (3) the anchoring and adjustment heuristic. The availability heuristic acknowledges that people typically assess the likelihood of an event by the ease with which examples of that event can be brought to mind. Typically, people recall events that are recent, vivid, or recurrent. This heuristic works well in most instances; however, a critical thinker needs to be aware of the biases that result from an expeditious process. For example, a senior leader doing performance appraisals on two equally capable subordinates might be inclined to give the subordinate who challenged him at the last team meeting a lower rating. The recentness and vividness of the challenge might cause the senior leader to overlook the impressive accomplishments of this particular subordinate and accord a rating that is actually inconsistent with the individual's performance. This would be, in effect, a poor decision. The representativeness heuristic focuses on the tendency for people to make judgments regarding an individual, object, or event by assessing how much the item of interest is representative. Several biases emanate from this heuristic; two of the most prevalent are problems with sample size and regression to the mean. Sample size bias occurs when decisionmakers improperly generalize the reliability of sample information. Leaders often draw important conclusions based on information they receive from one or two individuals; this is often problematic. Skilled critical thinkers routinely ask themselves, "Am I drawing a conclusion based on data from a fair and representative sample?" Regression to the mean bias is based on research that extreme high or low scores tend to be followed by more average scores. Therefore, when predicting future performance, decisionmakers often assume poor performers will stay poor (i.e., they are representative of poor performers) and strong performers will stay strong. Unfortunately (or fortunately), extremely low or high performance is typically followed by a performance level closer to average. This is why the sports teams that make the cover of Sports Illustrated tend to lose and the mutual fund that was the strongest performer last year is probably not the one to buy this year. Finally, insufficient anchor adjustment is a powerful bias. Research has shown that decisionmakers develop estimates by starting from an initial anchor, based on whatever information is provided, and adjust from there to yield a final answer.10 Effective leaders are aware of this bias and consciously ensure they do not get locked into a course of action because they failed to shift from the first option provided. A practical application of ways to use this bias to one's advantage can be seen in negotiations. It is usually good to initiate the first offer in a negotiation if you have reasonable belief that you understand the bargaining zone. The opening offer will serve as the anchor and will most likely create a range for possible negotiation that will be more advantageous to you. Are premises are acceptable and consistent. The premises are relevant to the conclusion and provide sufficient support for the conclusion. If the premises are dubious or do not warrant the conclusion, our argument is fallacious. In accord with the critical thinking model, as we evaluate the information presented, we need to keep in mind our tendency to let biases influence our decision-making. We also need to be aware of the traditional types of fallacious reasoning that are often used, sometimes intentionally and sometimes out of ignorance, to try to convince us to support an argument. Fallacious reasoning can take several forms, including arguments against a person, false dichotomies, appeals to unqualified authority, false causes, appeals to fear, appeals to the masses, slippery slopes, weak analogies, and red herring. Fallacies are very common, and they are typically convincing. Recently, for example, in a TV documentary about alternative medicine, a U.S. Senator defended his congressional bill to exclude vitamins and herbal medicines from USDA review by saying, "At least 100 million Americans use vitamins and other supplements every day and they can't all be wrong [appeal to the masses]; I know many Senators who also use these products [appeal to unqualified authority]; this is just another case of the liberal left trying to intrude on the daily life of the average American [arguments against the person]." The average viewer probably thought these arguments made sense, but as critical thinkers, we need to assess arguments, especially important and relevant arguments, to identify fallacious reasoning. Bad judgments prompted by fallacious reasoning that draws upon invalid and questionable evidence are the enemy of critical thinkers. Unfortunately, logically fallacious arguments can be psychologically compelling. Many leaders, because they have never really learned the difference between a good argument and a fallacious one, are often persuaded to accept and believe things that are not logically supported. As a critical thinker evaluates information, he or she needs to ask: Are the premises acceptable? Are they relevant? Are they sufficient? If the answer to any of these questions is no, the argument is not logically compelling. The last component of the critical thinking model is to consider implications. Critical thinkers need to understand the short-term consequences of accepting initial inferences or resisting opposing perspectives. They obviously also have to appreciate the long-term consequences of the information they accept and the decisions they make, including the second- and third-order effects. Critical thinkers ask themselves, "What if my assumptions are incorrect? What if the variables I think are defined are actually uncertain or quite different from what I think? What things haven't I considered that I need to consider?" Many of these questions will be ignored or minimized if the egocentric tendencies discussed earlier override sound judgment. The bottom line is that a critical thinker considers all these things in a deliberate and conscious manner. All leaders, but especially senior leaders, must continuously ask themselves, "Is this something I need to think about critically? How are my egocentric tendencies and point of view affecting the way I look at this? What is the point of view of the person presenting the information? What are my assumptions? Are we making the correct inferences based on the data provided? Are there other data we need to consider and can access? Is the information true, or at least plausible? Are the conclusions warranted by the evidence? Are biases and traps affecting our judgment? Have I considered all the implications?" The more we can introduce these terms and concepts into our thought processes, the more we will exercise sound judgment and make better decisions, become more skilled negotiators, and improve our leadership skills. 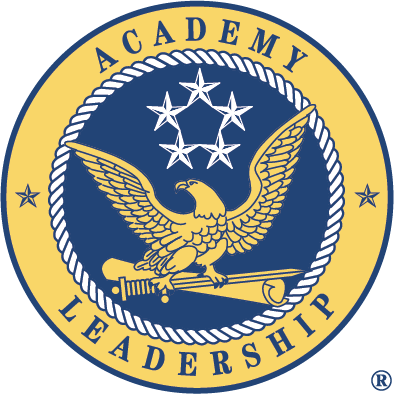 Susan C. Fischer and V. Alan Spiker, Critical Thinking Training for Army Officers, Vol. 1: A Model of Critical Thinking (Alexandria, Virginia: U.S. Army Research Institute for the Behavioral and Social Sciences, May 2004), 3. For a good discussion on automatic versus controlled processing, see Robert G. Lord and Karen J. Maher, "Cognitive Theory in Industrial and Organizational Psychology," in Handbook of Industrial and Organizational Psychology, ed. Marvin D. Dunnette and Leaetta M. Hough (Palo Alto: Consulting Psychologists Press, 1991). Richard Paul and Linda Elder, Critical Thinking, Tools for Taking Charge of Your Learning and Your Life (Upper Saddle River, NJ: Prentice Hall, 2001), 214. Peter M. Senge, The Fifth Discipline (New York: Doubleday, 1990), 241. Max H. Bazerman, Judgment in Managerial Decision Making (Hoboken, NJ: John Wiley & Sons, 2002), 6–7. Theodore Schick, Jr., and Lewis Vaughn, How to Think About Weird Things––Critical Thinking for a New Age, 3rd ed. (New York: McGraw Hill, 2002), 298. Diane F. Halpern, Thought & Knowledge: An Introduction to Critical Thinking, 4th ed. (Mahway, NJ: Lawrence Erlbaum Associates, 2003), 203. Thomas L. Wheelen and J. David Hunger, Strategic Management and Business Policy, 3rd ed. (Reading, MA: Addison-Wesley Publishing Company, 1989), 89–90. Dr. Stephen Gerras presents a workshop on critical thinking. For more details, please email Dennis Haley or call 610.783.0630.